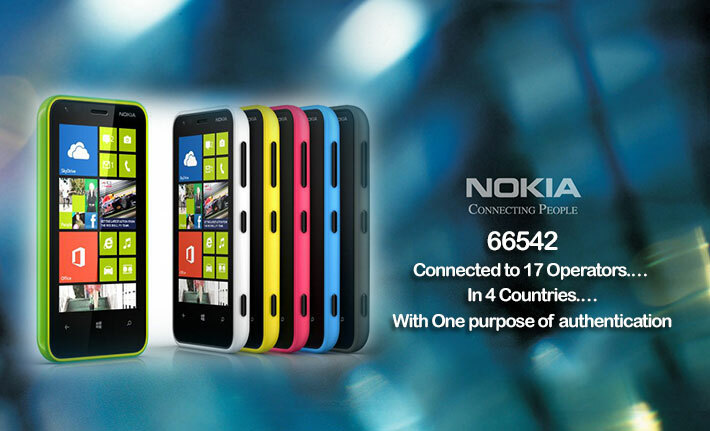 In order to authenticate Nokia’s cell phone being sold in four different countries, Converge provided a short code 66542 (Nokia) which connected 17 operators with a sole purpose of authentication. This resulted in increased sale of Nokia sets. This was implemented in Pakistan, UAE, Saudi Arabia and Nigeria. Our database was working with global inventories in Singapore for this solution, which reduced counterfeited Nokia handsets and ensured consumers are facilitated within their respective countries.